Iranian forces conducting military exercises in the Strait of Hormuz, blew up a mock US aircraft carrier. State television showed Iranian speedboats surround the ship and hit it with what the television said were “high precision missiles,” as part of the “Great Prophet” military exercises. Speaking on television, top Iranian naval official Admiral Ali Fadavi said that the tactic was a very effective one. “Because American aircraft carriers are big ammunition depots with many missiles, rockets, torpedoes,” and other materiel, it would take just a few missiles to set off a huge explosion that would destroy it. 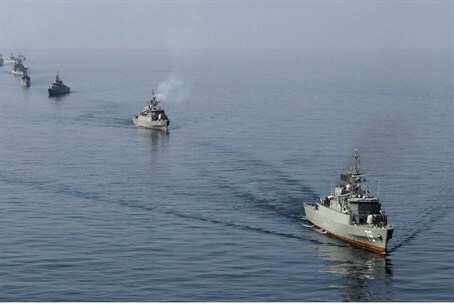 The exercises are a joint effort of the Iranian air, naval, and ground forces. The Iranian Navy showed off some “high speed vessels” which, officials said, could quickly choke off any naval attack in the area. The Iranian exercises began two days after French forces launched operations in the Persian Gulf, as part of its efforts against Islamic State. France has sent an aircraft carrier to deploy planes that are being used to hit ISIS forces in Iraq and Syria. The French carrier joins an American one that is already stationed in the Gulf.